We are pleased to announce the completion of our new facility! 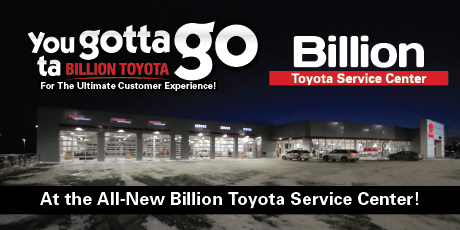 Billion Toyota of Sioux Falls welcomes you home to our new state-of-the-art facility. 1 Active Delivery Bay - You never Have To Go Outside To Get Your Car! Schedule Your Appointment Here and enjoy The Ultimate Customer Experience!